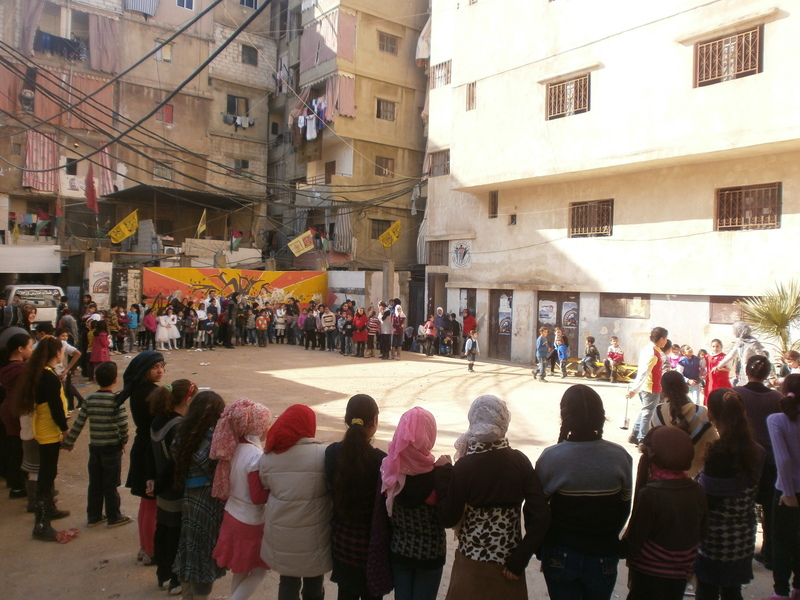 The CYC in Shatila was established in 1997, and was the first of the two CYCs. CYC Shatila is situated in a 5 storied building within the heart of Shatila. Here you will find an office-section, a public library with around 7.000 books (in arabic, english and french), classrooms and a room for dancing, sports etc. Also, the CYC Guesthouse, situated in Shatila, is hosted by the CYC Shatila and is run by the staff. The centers activities are coordinated by the staff and a number of local volunteers, aswell as volunteers from abroad. CYC Shatila conducts all the activies included in the Activities section, as well as different workshops, community meetings, projects, exhibitions and other events. In order to get in touch or find CYC Shatila please don’t hesitate to contact us.